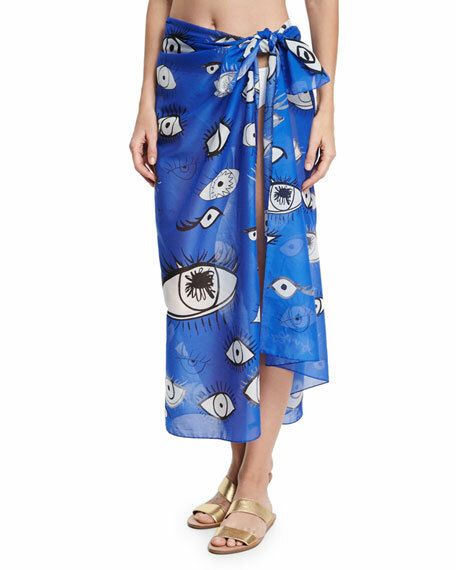 Anna Coroneo cotton voile scarf with eye print. Ample size to style multiple ways. For in-store inquiries, use sku #2131050. 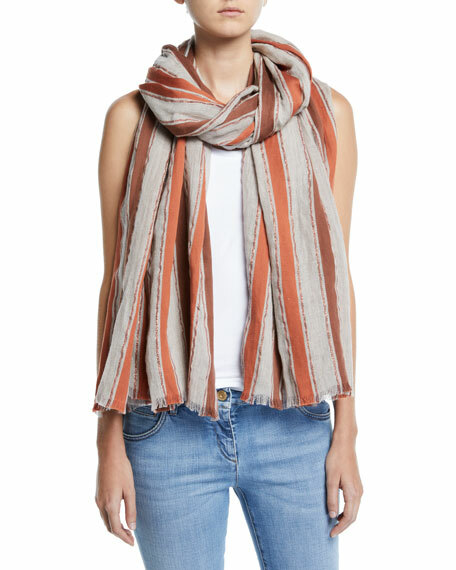 Brunello Cucinelli scarf in lightweight, gauzy weave with metallic shadow stripes. May be styled multiple ways. Eyelash fringe. ... Made in Italy. 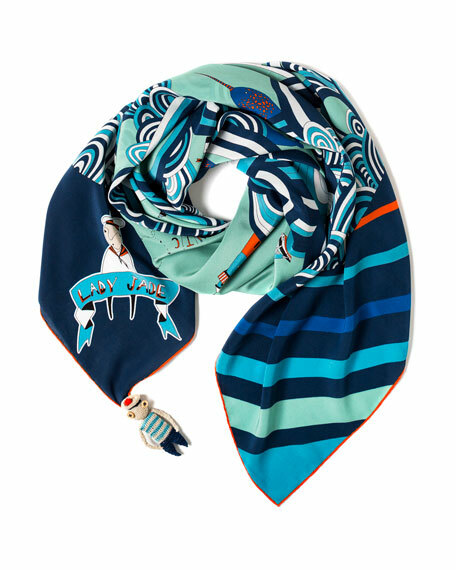 Charlotte Simone "Puffalump" two-tone neck scarf. 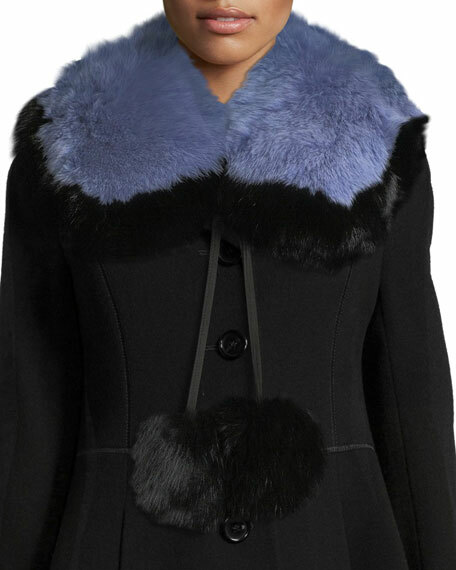 Dyed fox (China) fur. Hanging fur pompoms. Approx. 5"W x 64"L. Suede leather ties. Lining, cotton/silk. Made in the USA. 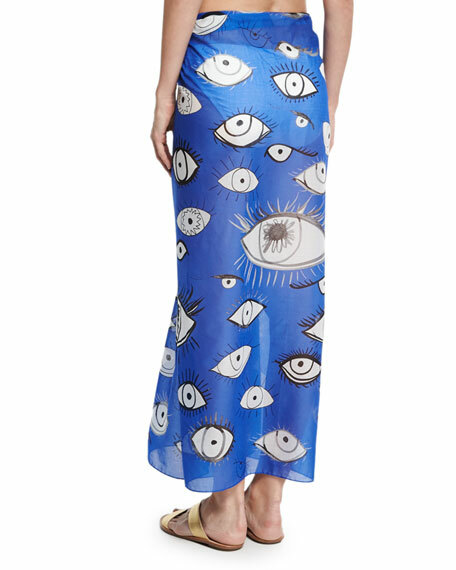 Fendi maxi stole in petite tonal FF pattern. Approx. 78"L x 55"W (200 x 140cm). Lightweight, seasonless fabric. May be styled multiple ways. Eyelash fringe finish on ends. Modal/cotton/cashmere. Made in Italy.